Do you own a scarce Olympic 50p?. Just 11 days after Andy Murray raised the Wimbledon Men’s Singles Trophy at the all England Club, Royal Mail has announced that it is issuing a set of 4 stamps to celebrate the first British Wimbledon Champion in 77 years. 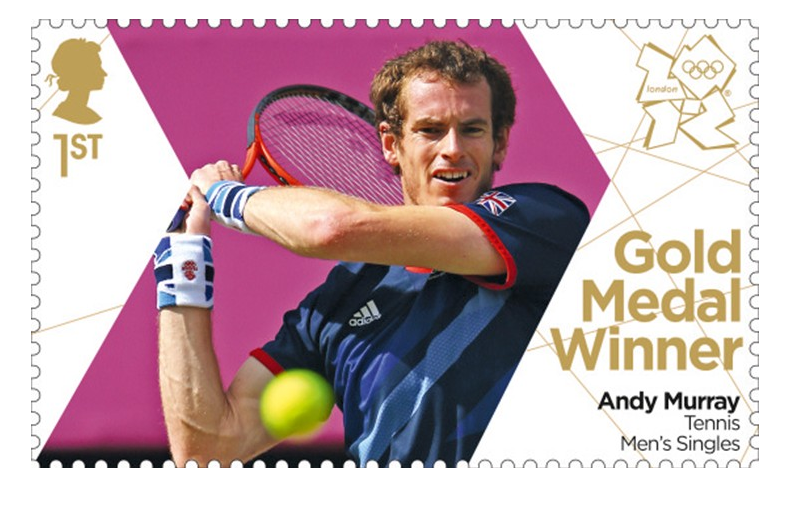 Andy Murray Stamps: An Impossible Issue? A few years ago, this would have seemed an impossible issue for Royal Mail. Firstly, living people (other than the Royal Family) were simply banned from British stamps. Secondly, the Royal Mail of old would not have been nimble enough to deal with the complexities of such an issue in a short period of time. But much has changed. In 2003 Royal Mail rushed through a Rugby World Cup Winners Miniature Sheet and two years later an Ashes Victory Miniature Sheet (could we see another this year?). But these, they argued did not feature individual players but instead celebrated the whole team’s achievement. But everything changed for the Olympics as Royal Mail issued 63 Olympic and Paralympic Gold Medal Winner Stamps, taking the nation by storm. The result was the the greatest interest in stamps for 20 odd years and a final death knell in the living person taboo. Of course, Andy Murray featured amongst those stamps – so with his 4 new stamps announced today, he holds a new title, alongside Wimbledon Champion. He is now the most celebrated non-Royal on British stamps. So well done Andy and well done Royal Mail – we need you there to capture the mood of the nation.